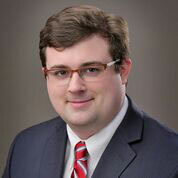 Joe Castor joined Kraemer Burns after completing a state court appellate clerkship with the Hon. Harry Carroll in Hudson County. During this clerkship, Joe processed and reviewed emergent applications from litigants in the trial courts, researched and edited opinions, and wrote memos for Appellate Court Judge's panel on pending legal issues. Those cases included a diverse range of legal issues, overlapping areas of personal, corporate, real estate, and other matters. Joe says that the experience gave him insight into legal advocacy that is effective on a client's behalf. Joe applies that insight as he works on Kraemer Burns' litigation team on trial and appellate matters. He works as well with the firm's commercial real estate, corporate and estate attorneys. Joe graduated from the University of Maryland where he was a government and politics major, and served as a Legislator in Student Government, on the Public Leadership Council, and as Philanthropy Chair of Phi Kappa Tau. Joe attended law school at William & Mary School of Law where he held a merit based research fellowship. Joe's research contributed to an article in the University of Texas Law Review analyzing the United States Supreme Court's decision in Holder v. Shelby County, a case that treats the issue of whether laws have a constitutional shelf life. Joe is a member of both the New Jersey and New York bars. University of Maryland, College Park, MD, B.A.